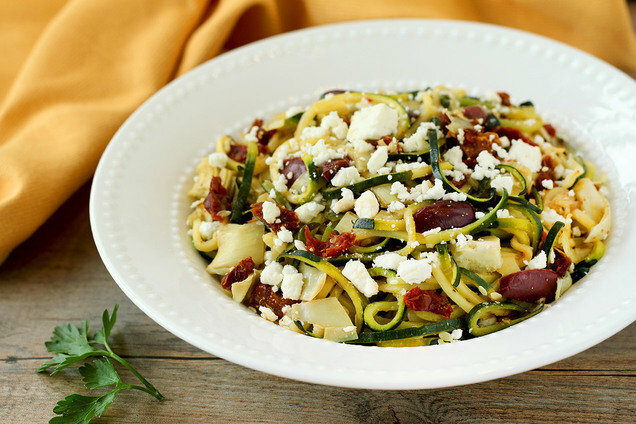 Using a spiral vegetable slicer like the Veggetti, cut zucchini into spaghetti-like noodles. (If you don’t have a spiral veggie slicer, peel zucchini into super-thin strips, rotating the zucchini after each strip.) Roughly chop for shorter noodles. Bring an extra-large skillet sprayed with nonstick spray to medium-high heat. Cook and stir zucchini until hot and slightly softened, about 3 minutes. Remove skillet from heat. Respray, and bring to medium heat. 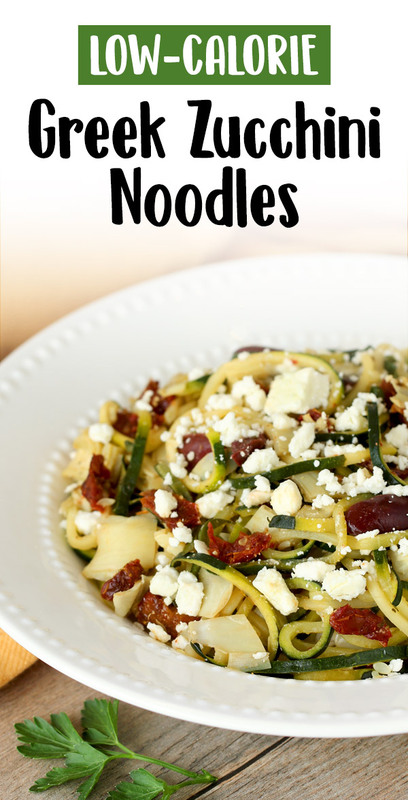 Add drained zucchini and all remaining ingredients except feta. Cook and stir until hot and well mixed, about 2 minutes. Everybody needs more healthy recipes! Click "Send to a Friend" now.